Antique Mizpah brooch in gold & silver with a bird design. Product code: ES2056 Categories: Sold Items, Sold Jewellery. Antique jewellery so often has a wonderful sentiment behind it and this can apply so easily to antique Mizpah jewellery. Passing all religions and any financial gain, it was often given to a loved one to wish them a safe return. And here is a very attractive antique Mizpah brooch made in sterling silver and rose gold with a delightful bird design adding to the charm and character. From left to right the brooch measures 5.2cm across by 1.8cm at its widest part and with the combination of both gold and silver makes it so attractive and elegant. 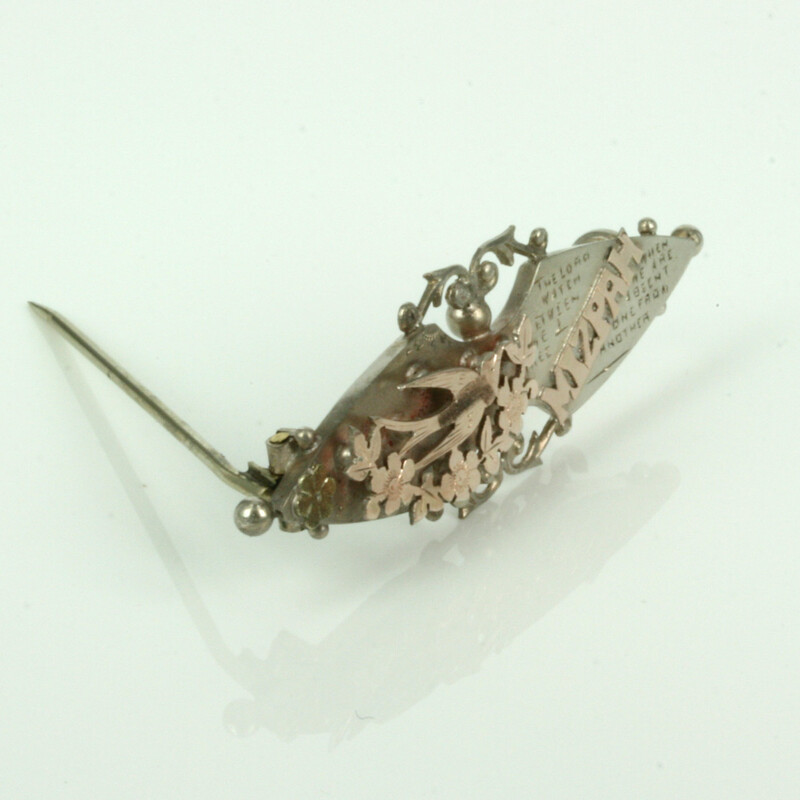 Mizpah jewellery is so steeped in history and this antique Mizpah brooch will always look so good against any outfit.